Our new Vantage wristband at a price you'll love. 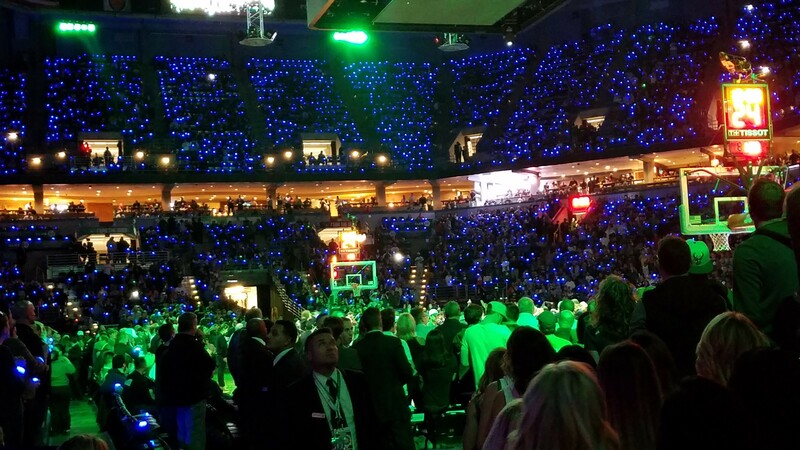 Through interactive LED lighting displays, wearables, and installations, Glow Motion delivers unique and engaging fan experiences for music and sporting venues as well as corporate events, wirelessly. Glow Motion puts each attendee right in the middle of the action where they instantly become part of the show. Go beyond what can only be seen and heard, and create truly immersive experiences that your audiences will love. Our compact technology fits in the trunk of a car and can be set up and working in minutes. Add energy and emotion to any event, providing the nonverbal cues that draw people together and define memorable moments for your audience. Communicate with one LED wristband or many hundreds of thousands at the same time. Easily create groups and audience segments for a virtually unlimited number of effects. Best of all, one antenna can control wristbands hundreds of feet away. In fact, up to 65,000 devices can be accessed individually using only 1 DMX universe. Thank you for you interest in Glow Motion Technologies. We will be in touch with you shortly.